What is going on this 2016! Is this the year of beef in the entertainment industry? 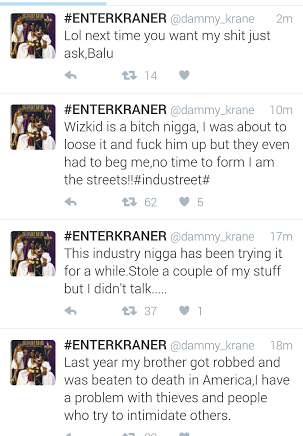 Nigerian Musician Dammy Krane has been off the radar for a while came back and started this…with Wizkid. Previous articleHas President Mugabe suffered a heart attack? i nor fite laugh oo……..